To mark the 60th NATO Anniversary Summit Noam Chomsky talked to Robert Harneis for RT on Kosovo, Afghanistan, as well as NATO – why it exists and its future. Professor Chomsky is a leading critic of NATO and US policy. Q. A question asked more and more is ‘what is NATO for?’ If no one knows what it is for, why do you think it has survived 20 years after the end of the Cold War? Professor Chomsky: Yes, that is the right question, isn’t it? You might ask why it lasted even one month after the end of the Cold War. Why did it survive? If you look back to when the Soviet Union collapsed, Gorbachev agreed to a quite remarkable concession. He agreed to let a united Germany join the NATO military alliance. Now it is remarkable in the light of history, the history of the past century, Germany alone had virtually destroyed Russia, twice, and Germany, backed by a hostile military alliance, centered in the most phenomenal military power in history, that’s a real threat. Nevertheless he agreed, but there was a quid pro quo, namely that NATO should not expand to the East, so Russia would at least have a kind of security zone. And George Bush and then-Secretary of State James Baker agreed that NATO would not expand one inch to the East. Gorbachev also proposed a nuclear free weapons zone in the region, but the US wouldn’t consider that. I don’t think they even replied to the proposal. So that was it, no more Soviet Union – game over. 81-year-old Noam Chomsky is a widely known political activist and philosopher. He describes himself as a libertarian socialist, a sympathizer of anarcho-syndicalism and is considered to be a key intellectual figure within the left wing of American politics. So what did the Bush administration do? They issued a defense strategy document that effectively said that the real threat was actually the advanced technological level of third world countries and the need to preserve the superiority of the US technological military industrial base, problems not attributable to the Kremlin. So suddenly the original threat turns out to be a lie and it is business as usual for NATO. Q. How do you see the situation developing in Afghanistan? A. The situation at the moment is I think Obama looks more aggressive and violent than Bush. The first acts to occur under his administration were attacks on Afghanistan and in Pakistan, both of which killed many civilians and are building up support for the Taliban and terror, and attacks with drones and that sort of thing. He wants to extend the military side of the war against the Taliban and the large Pushtun population. That is not what the Afghans want. If you look at the situation of the Afghan President Karzai, his first message to Obama was a plea to stop killing Afghans and it’s interesting that at this point when these statements came out he suddenly became very unpopular in the West. Before that he had been very much admired, people liked his clothes, nice man and so on, but now he became incompetent, corrupt and in fact the US are planning to remove him. They have already stated so. They want to introduce what they call a ‘new administrative officer’ and eventually kick him upstairs. Q. So do you think that is what is going to happen? That they will get rid of him eventually? A. They are expanding the military component of the war, roughly another 21,000 troops. Britain will probably go along with this. They are trying to get the NATO powers to go along and they’ve expanded drone attacks and other special forces attacks in Afghanistan and in Pakistan. There is an Afghan peace movement – it’s pretty substantial and difficult to measure the exact scale – but it’s estimated to be very large and they are calling for an end to violence and a turn towards reconstruction and development. If you look at the statements of Karzai, and also Zadari, formally welcoming Obama’s new approach, if you look at the actual statements, they are very modulated. They concentrate on aid and development, which I think is the right direction to follow, plus reconciliation among Afghans doesn’t mean that we decide who to talk to – they decide. Q. 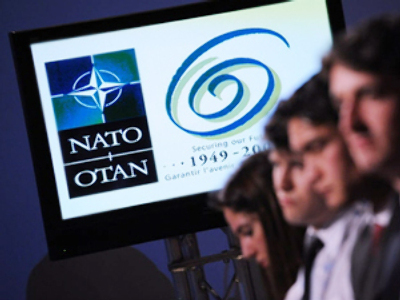 As far as Kosovo is concerned, NATO members repeat that it is ‘sui generis’, a special case, and not a precedent for any other would-be country. Do you agree with that? “If you bomb, they are going to respond on the ground. They are not going to bomb Washington and that will increase the level of atrocities” which is exactly what happened. When Milosevic was indicted during the war it was almost entirely for crimes committed after the war began, but in fact there were diplomatic options. Now in the highest levels of the Clinton administration Strobe Talbot, the Under Secretary of State for Eastern European affairs in charge of what was happening then, has basically conceded, which was already pretty clear from the record, that the attack was not motivated by the fate of the Kosovars, which was obvious already from the record, but because Serbia did not adopt the required socio-economic reforms. Now, Western intellectuals are going to have to hang on to this with passion. You will remember that back at that time there was a huge outpouring of utterly embarrassing declarations about our nobility and a noble phase of our foreign policy, how the enlightened states were leading the world into a new era where people follow principles and values, and so on and so forth – really embarrassing. I can’t remember anything like it in intellectual history; and after that it’s pretty hard to step down and say “Sorry folks, it’s totally different” –so they’ll hang on to it. Q. How do you see the rivalry playing out between NATO and the United Nations? Q. Is one of the reasons for the seemingly limitless expansion of NATO to create a sort of mercenary army, to be able to fight wars without having conscription in the United States? Like, for example, Georgia sending the third biggest contingent to occupy Iraq? A. The Pentagon was against the draft. Ever since Vietnam they have wanted to get rid of it. The United States made a tactical error in Vietnam. They tried to fight a colonial war with a citizen army. You can’t fight a colonial war with conscripts. If you look at the American Revolution against the British in the 18th Century you find most of the British troops were Hessians from Germany. Yes they had sailors forced onto their ships, but mostly it was mercenaries. No, you have to have mercenaries like the French Foreign Legion, the British Ghurkas. A colonial war is too brutal, too ruthless for conscripts. Yes, the United States wants to recruit Eastern European nations to join NATO because they think they will be prepared to send soldiers to fight in those sorts of wars. Q. How do you see NATO developing in the future? A. If the question was ‘How ought NATO to develop?’ the answer is ‘immediate disbandment’. In reality there is little sign of change. You may have noticed that despite the financial crisis there is no serious attempt to limit US military spending since Obama became President. They may cancel some expensive high tech projects like purchase of the F22 fighter. You don’t need those sorts of planes for the sort of wars we have now. Before Bush left office 30 billion dollars was voted to support Israel over ten years. Today Israel is just a military outpost of the United States. The plan is to increase the number of ground troops. That’s what you need for the sort of wars they plan. Look, during the Gaza invasion the United States planned to deliver thousands of tons of ammunition to Israel in German ships via Greece. The Greeks stopped it, so they have to find some other way to send it, but the Pentagon said it was for pre-positioning for future conflicts. Q. Do you think that was the truth? A. Oh yes. It was sent far too late to affect the fighting in Gaza. They meant what they said. As for the future of NATO that depends on citizens’ action, like the Anti- NATO Conference in Strasbourg. US and Russia: future partners in Afghanistan? Not all empires die in Afghanistan? What has become of Western promises? Afghani war – eight years, zero result? Afghan war lost at grass roots?